The Ben-Day dots printing process, named after illustrator and printer Benjamin Henry Day, Jr., is a technique dating from 1879. 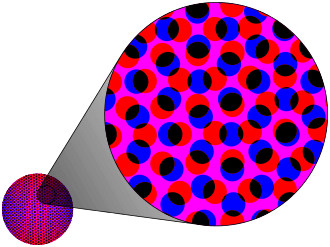 Depending on the effect, color and optical illusion needed, small colored dots are closely spaced, widely spaced or overlapping. Magenta dots, for example, are widely spaced to create pink. Pulp comic books of the 1950s and 1960s used Ben-Day dots in the four process colors (cyan, magenta, yellow and black) to inexpensively create shading and secondary colors such as green, purple, orange and flesh tones. Ben-Day dots differ from halftonedots in that the Ben-Day dots are always of equal size and distribution in a specific area. To apply the dots to a drawing the artist would purchase transparent overlay sheets from a stationerysupplier. The sheets were available in a wide variety of dot size and distribution, which gave the artist a range of tones to use in the work. The overlay material was cut in the shapes of the tonal areas desired—i.e. shadow or background or surface treatment and rubbed onto the specific areas of the drawing with a burnisher. When photographically reproduced as a line cut for letterpress printing, the areas of Ben-Day overlay provided tonal shading to the printing plate. 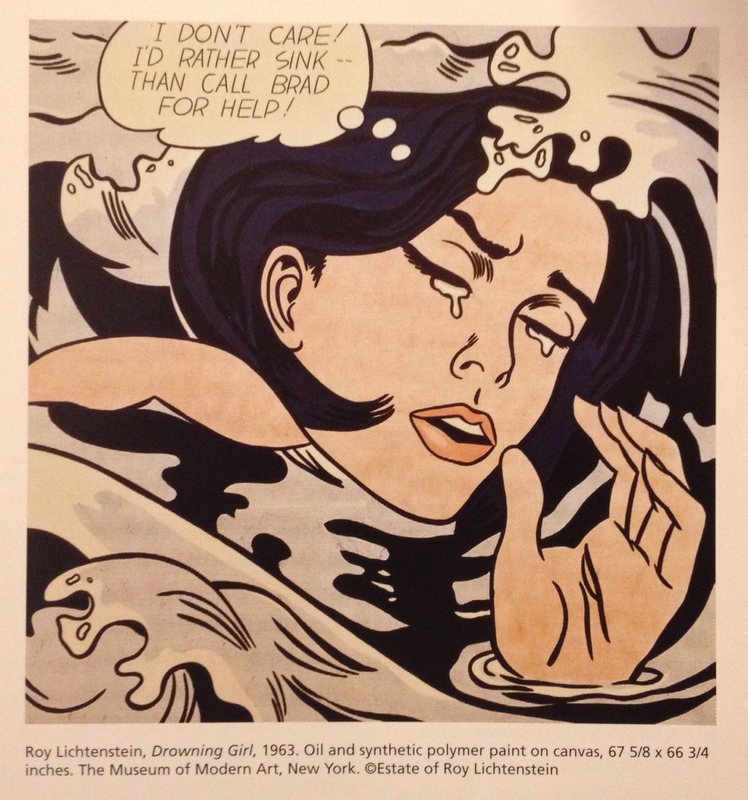 The use of Ben-Day dots was a hallmark of American artist Roy Lichtenstein who enlarged and exaggerated them in many of his paintings and sculptures. Other illustrators and graphic designers have used enlarged Ben-Day dots in print media for a similar effect.